Ohio Senate Bill 216 was signed into law during the summer of 2018. This legislation extended the P-3 licensure band to P-5. As a result, the Early Childhood Education (ECE) P-3 program is transitioning to the Elementary Education (EED) P-5 program. The last ECE cohort was admitted Spring 2019 and will be able to complete our Early Childhood Education P-3 program. 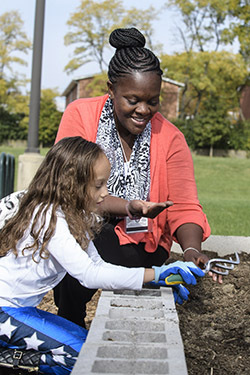 Moving forward, prospective Wright State students and students at Wright State who have not been admitted to the ECE program should apply for admission to the Elementary Education P-5 program. For general questions and licensure information contact an academic advisor in the CEHS Academic Advising Office.